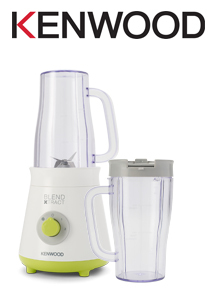 The new Blend Xtract range from Kenwood is here to help you get those essential nutrients. With a compact design housing a 300w motor, this blender comes with 2travel beakers. Featuring 2 speeds and a pulse setting you can create delicious smoothies; the Blend Xtract also has removable blades.